Save your precious time and up to 30% on tickets by investing in this discounted combo that allows you gaze at Dubai from the dizzying height of the 124th and 125th floors of the Burj Khalifa as well as immerse yourself in the spectacular sealife housed at the Dubai Aquarium, the largest aquarium in the world. Located in the Dubai Mall complex, these are two epic experiences that you just can't miss. Make your way to the 124th and 125th floor of the Burj Khalifa for the ultimate view of the city and the vast desert. Enjoy a breathtaking 360-degree panoramic view of Dubai from the world's tallest building. Descend from the clouds to enter the aquatic realm at the world's largest suspended aquarium, the Dubai Aquarium and Underwater Zoo. Take a stroll around the glass walls of the Dubai Aquarium that stand between you and 30,000 different species of marine life! Watch in awe as King Crocodiles and Sand Tiger Sharks glide past you. Explore the unique ecological zones at the Underwater Zoo situated just above the Aquarium and witness the night creatures come to life. With these Burj Khalifa tickets, you will be able to skip the long ticket queue and head straight to the elevator that will zip you to the 124th and 125th floors where amazing vistas of Dubai await you. Your journey to the top will be occupied with a fascination multimedia presentation about the history of the city and its crown jewel, the Burj. The floor-to-ceiling glass walls provide an amazing panoramic view of the city, desert, and ocean from a height of 452 meters! Step out onto an open-air terrace to take in the unparalleled sights of the city and beyond with the help of viewing telescopes set up on the observation decks. You can stay here and enjoy the views for as long as you like. At Dubai Aquarium, you will come face to face with an incredible collection of aquatic life that consists of over 140 species including 300 sharks, rays and the largest collection of Sand Tiger sharks in the world. You can also experience other biomes such as the Rainforest, Rocky Shore and Living Ocean environments at the Underwater Zoo. Aside from the obvious diversity in marine life that the Aquarium has to offer, a notable example being the King Croc, one of the largest specimens of Australian Saltwater Crocodiles in the world, weighing in at a whopping 750 kg and measuring a spine-tingling 5 meters, the Aquarium also hosts a number of exciting, one of a kind experiences. Some of these are cage snorkeling, diving into the secure cage in the aquarium and seeing hundreds of species of marine life inches before your face, becoming a PADI certified scuba diver and diving into the center of the Aquarium or even to just interact with the shark colonies residing here. The Dubai Aquarium has something to entertain everyone! Burj Khalifa general admission tickets. Dubai Aquarium & Underwater Zoo admission tickets, including access to the Aquarium Tunnel & Underwater Zoo. This combo ticket allows you access to Burj Khalifa's At the Top observatory and the Dubai Aquarium on the same day. You can visit the Dubai Aquarium anytime on the selected day, whereas access to Burj Khalifa is restricted to the time you choose. At the Top, Burj Khalifa is open from 8:30 AM to 01:00 AM. Tickets are available for timeslots every 30 minutes. Entry to the Burj Khalifa is time specific. However, once you're inside, you can stay for as long as you like. People on average spend 40-45 minutes at the observatory. The Dubai Aquarium and Underwater Zoo are open from 10:00 AM to 12:00 AM. Dubai Aquarium tickets are valid for the whole day and you can go anytime you like within the operating hours. Last admission is at 11:30 PM. The average time to experience the Aquarium and the Underwater Zoo located on Level 2 is approximately 1.5 - 2 hours. The ticket is valid only for a single entry. Children below the age of 4 enter for free. Child tickets (4-12 years) are available at a reduced price of AED 165. Please select the right profile type for your group during checkout. Warning: Ensure that you are carrying a valid ID of the members in your group if you select any reduced price tickets during checkout. The Burj Khalifa is centrally located and is close to the Dubai Mall, making it easily accessible by major modes of transport. By Metro: The Burj Khalifa/Dubai Mall metro stop is a 9-minute walk from the Burj Khalifa. The Burj Khalifa and Dubai Aquarium do not have an official dress code, however, it is recommended that you wear smart casuals at the time of your visit. Full trousers collared t-shirts and closed shoes for men and dresses and skirts/slacks with a nice top for women. No large pieces of luggage are allowed inside the Burj Khalifa, but you can check them in at the Secure Baggage Area, located near the entrance. You may cancel up to 4 days in advance for a full refund. You will receive an email with your Dubai Aquarium & Underwater Zoo + Burj Khalifa Combo tickets with QR code instantly. No need to take a print out. Please download and display your tickets with the QR code on your mobile device at both the ticketing counters on the day of your visit to collect your physical tickets. You must use the same ticket and QR code to redeem your physical tickets for both the Burj Khalifa as well as the Dubai Aquarium. Please carry a valid Photo ID for identification. 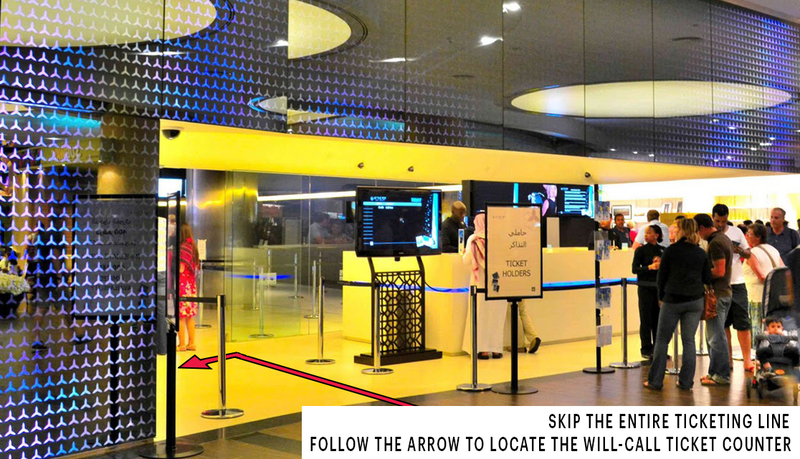 Display the ticket at the will-call ticket counter located at the At The Top entrance on the lower ground level of the Dubai Mall. You can visit the aquarium at any time throughout the day. Head to the Aquarium ticket counter inside Dubai Mall and display your tickets to gain hassle-free access. Your Burj Khalifa tickets are only valid for the date and time slot that you selected at the time of booking. You can, however, visit the Dubai Aquarium at any time on the selected day.